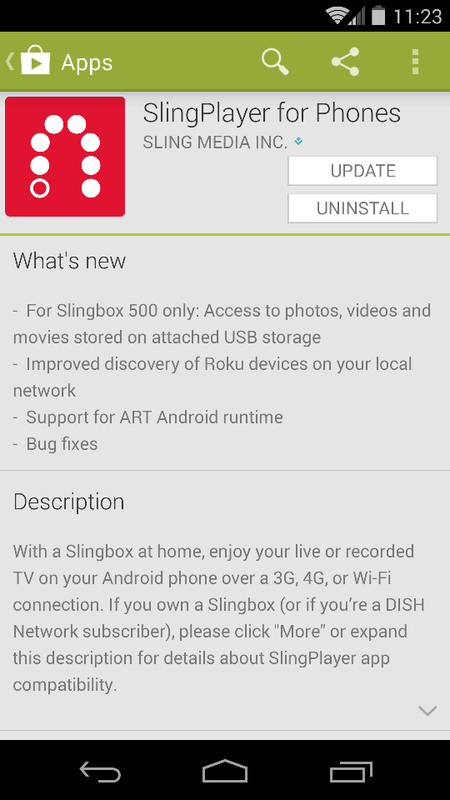 The SlingPlayer for Phones App by Sling Media, Inc. now works with the ART runtime. 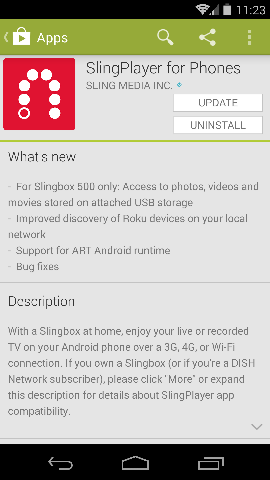 Sling updated their app, as shown in the screenshot below. I switched back to Dalvik for my personal use, because the flashlight app that I use wasn’t compatible. However, all of the simple apps that I have developed work fine on ART. It’s just a matter of time before ART becomes the default runtime, and developers are forced to update the few apps that are incompatible.